One of the best parts of making a career from your passion is that work and play become the same thing. When my friend, Traci, asked if I would lead a class on Guatemalan cuisine for her students at an area high school, it was an automatic “yes.” This sounded like tons of fun. The irony of it all is that I have not a drop of Latino blood and have not (yet) been to Mexico. Still, the Internet is a fine research tool and I enjoyed learning about authentic Guatemalan cuisine. My first step was to write up a “report” so Traci and her class could decide what they wanted to make when I stopped by. The final verdict was a menu of elote (roasted corn with various toppings), crispy corn tortillas, black bean paste (essentially refried black beans), and Bocado de Reina–a Guatemalan bread pudding. These were easy recipes to work through and the experience went amazingly well. The six students were fun to work with and turned out a mouthwatering spread. 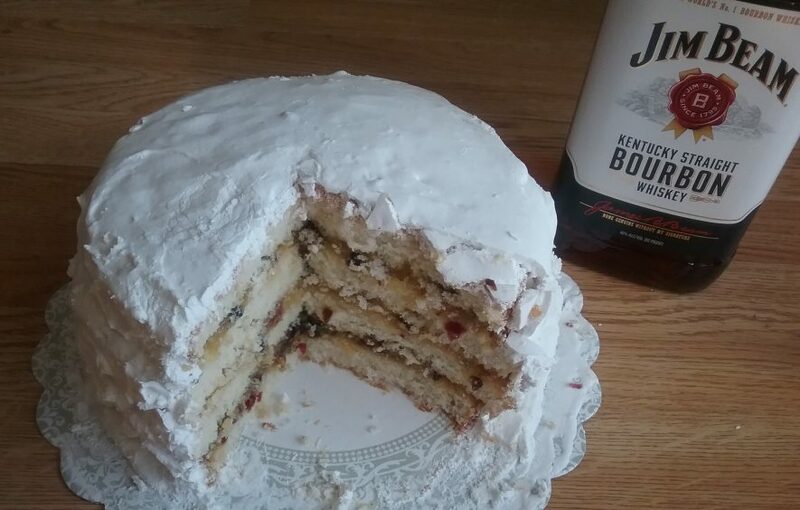 I’ll use each of this week’s posts to highlight a recipe. Today, we talk tortillas. I brought in white corn tortillas from a Mexican market as 1) they’re extremely inexpensive compared to mainstream grocers and 2) quality is so much better when food is made by authentic small-batch manufacturers. 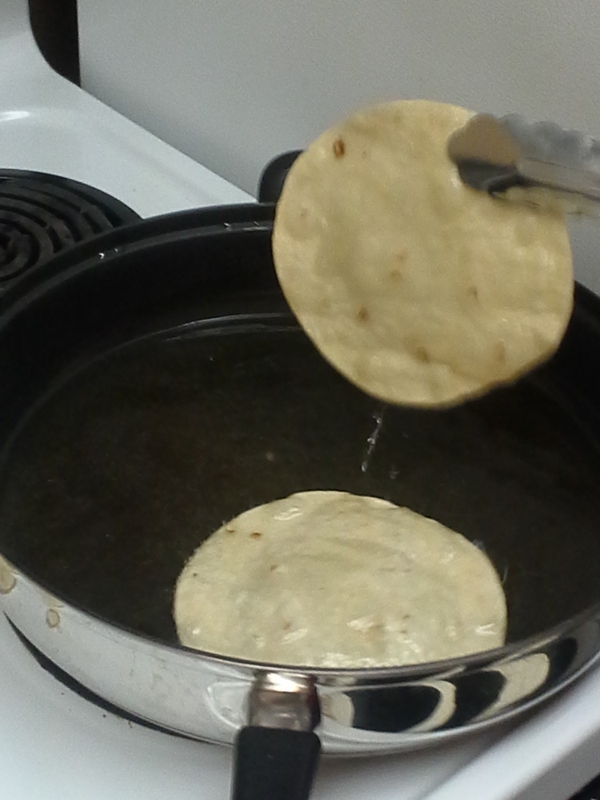 The crispy tortilla “recipe” was as simple as heating about 1/2 inch of vegetable oil in a skillet. We didn’t measure temps, but I’d imagine we were looking for 350-360°F. To test for the right temp, we tossed in a small piece of tortilla to see if it sizzled without immediately shriveling and turning dark. 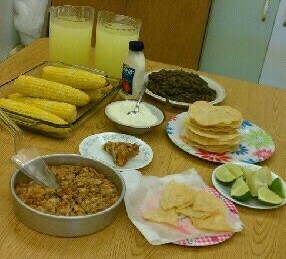 I put two students in charge of the tortillas and they did a bang-up job. 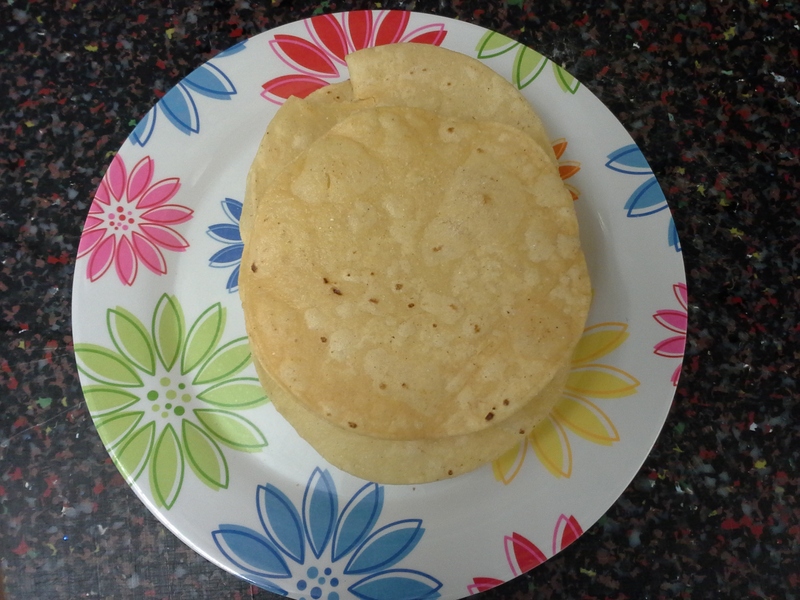 The final tortillas were perfectly crisped without being brittle or burnt. These young women have a future as Mexican street food vendors if they so choose. On Wednesday, we’ll circle back to the black bean paste that we used to top the tortillas. Until then, ¡Buen provecho! Thanks so much for coming to the class and for the great write up! I can’t wait to share this blog with the students tomorrow! You are a talent and a treasure !